Saturday, Dec. 3 at 10 a.m.—KILLINGTON—Two beloved children’s book characters will be making an appearance (their only appearance in Vermont this year) at the Sherburne Memorial Library in Killington. 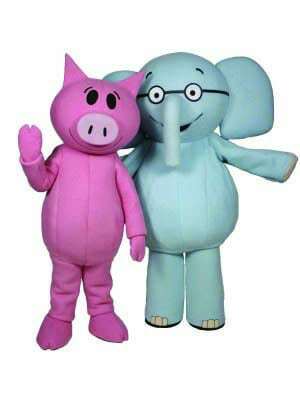 Elephant and Piggie, stars of Mo Willems’ “Elephant and Piggie” books, will be there for story time on Saturday, Dec. 3, 10-11 a.m. The characters will be available afterwards for pictures. Everyone is welcome. Sherburne Memorial Library is located at 2998 River Road, Killington. For more information, call 802-422-9765 or visit www.sherburnelibrary.org.